Veritas finds its truth in a menu that juggles both ever-changing ingredients and consistent elements. A half-dozen or so entrees and a few new appetizers debut each week at Veritas Gateway to Food and Wine, along with a daily vegetable napoleon, each making the most of the latest fresh regional ingredients. The market was the brainchild of David and Stephanie Stitt, native Alabamians who founded their specialty market in Clayton in 2004. Since then, the business has moved to Ellisville and son Mathis has taken up his station in the kitchen, expanding Veritas from a store with limited dining to one with a fullfledged restaurant that debuts a whole new lineup of dishes every Thursday. It’s a concept that keeps things fresh for patrons who thrive on variety, yet not so jarring that creatures of habit can’t find something to love with each visit. The Veritas menu borrows as heavily from the hyperlocal philosophy of Vermont, where he attended the New England Culinary Institute, as it does from his parent’s Southern roots. Elements of Southern cuisine pepper Mathis’ weekly menus, always tied to what’s available here and now. 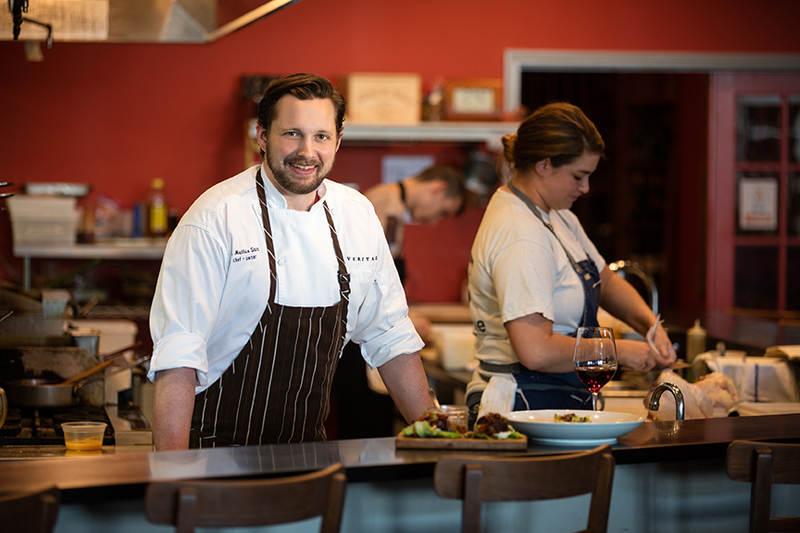 The Veritas cooking school demo on Tuesday, Oct. 11, will include three of Chef Mathis Stitt’s seasonal favorites, at AUTCOhome from 6:30-8:30 p.m. For reservations, call 636-230-9640, ext. 27, or email [email protected]. 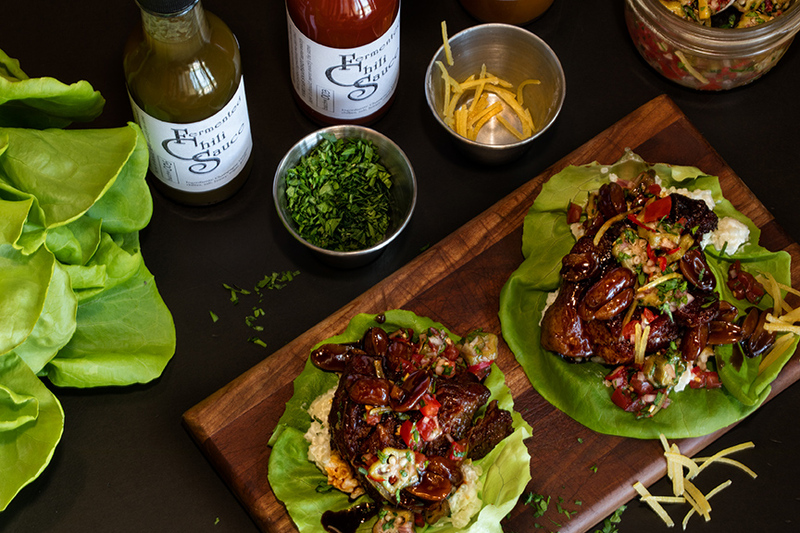 Braised Pork Lettuce Wraps: Savory and seasoned, silky, tangy, nutty—this dish hits every note. Pickled okra relish adds brightness to the meat in the wraps, while creamed rice accompanies the headliner. Charred Mushroom Soup: Is there a sauce any better than egg yolk? 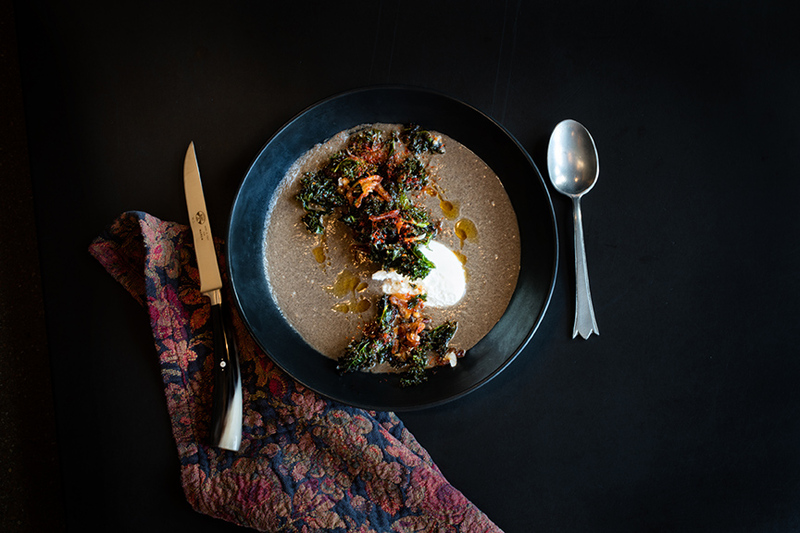 A poached egg sits atop this soup, which gets its umami from charred mushrooms and a slight earthy bitterness from kale. 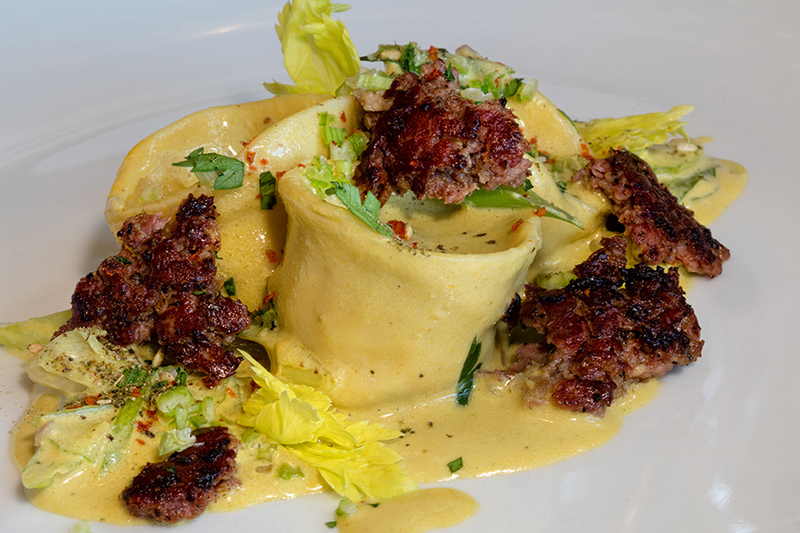 Celery Root Tortellini: Chef Stitt purees creamy goat cheese with celery root for the stuffing in this tortellini. It’s topped with celery and sauced with buttermilk dressing.